Welcome to Jackson Yacht Services. Established in 1970 by Mike Jackson. We stand on our traditonal approach to ensure a quality outcome. Whether it be a minor repair, routine maintanence or a large project, our skilled team show the same level of workmanship to any task. Whilst many boat yards may have a large team we choose to remain small, this allows the customer to remain in touch every step of the way. Much more than a boat yard; an Aladdin’s Cave! Sales & service agents for the Zodiac range of inflatable boats, RIBS, tenders and liferafts. We hold a large stock of Zodiac boats, liferafts and spares. We pride ourselves on meticulous care and attention with your safety equipment and regularly attend manufacturers premises in order to keep abreast of the various liferaft packing methods so that your lifesaving apparatus will operate efficiently when required. We are sales agent and have been awarded servicing certifictes for the following manufacturers:- Zodiac, Ocean Safety, RFD, ML Lifequard, BFA (XM), Plastimo and Crewsaver. 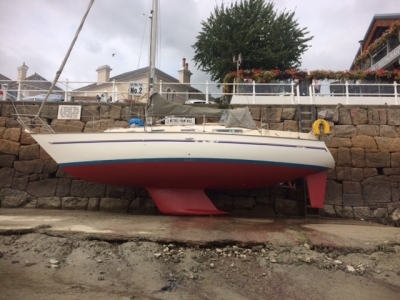 Owners of rafts are advised to have them serviced by a properly certificated service station as recommneded by their manufacturer to ensure validty or gurarantees. Fashionable and conventional yachting clothing for adults and children by TBC, Le Glazic, Coude Maille and Guy Cotton. Extensive leather deck shoe range by TBS, as well as boots, offshore foulweather gear and equipment. 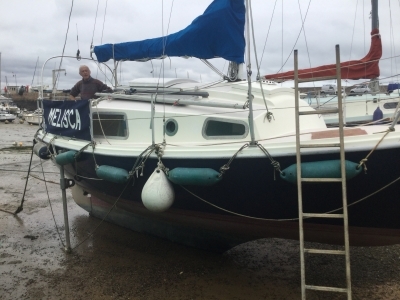 Motor & Sailing yacht repairs in GRP and timber, lifting up to 65 ton, cleaning and antifouling under taken. All types of moorings made and laid from deep water to marina berth. Have your rigging checked, repaired or renewed by experienced staff. Masts, spars and furling gear supplied and fitted. Wire swageing machinery in workshop. Specialists in architectural rigging and wire work. Comprehensive management serivce ensuring smooth cost effective running of your vessel. 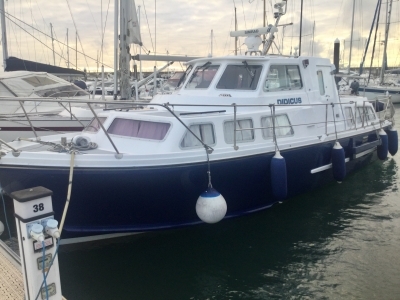 marine consultancy and guardiennage service for non resident owners. We are a small, owner operated business and pride ourselves in the attation to detail commonly missing in large enterprises today. We look forward to meeting you and pledge our commitment to fulfill your boating requirements in connection with the smallest dinghy to the largest yacht.